This 1-wire analyzer capture all transmissions via 1-wire bus, decode it and send to PC via virtual RS-232 port. 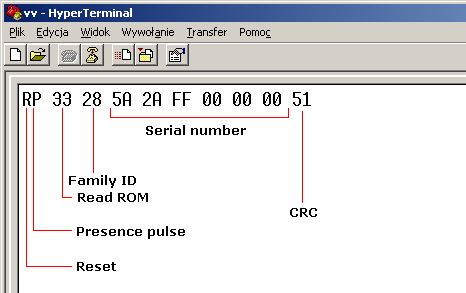 Received data can be displayed by any terminal program on PC computer. 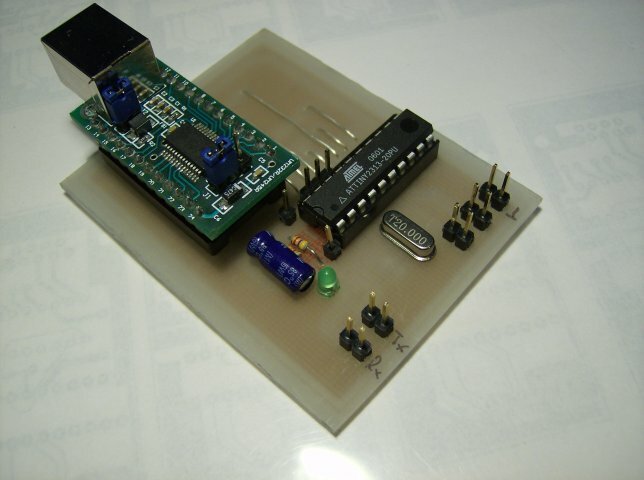 Main part of analyzer is ATTiny2313 microcontroller with 20MHz crystal. Link to PC are realized by FTDI FT245RL on UM245R module. There are three SMD jumpers : JP1, JP2 and JP3. For 1-wire bus analyze JP1 must be short, JP2 and JP3 must be open. 1-wire bus (DQ and GND lines) must be connected to INT0 and GND pin. Fusebits must be set for external crystal oscillator > 8MHz. FTDI VCP drivers must be installed before use this sniffer.